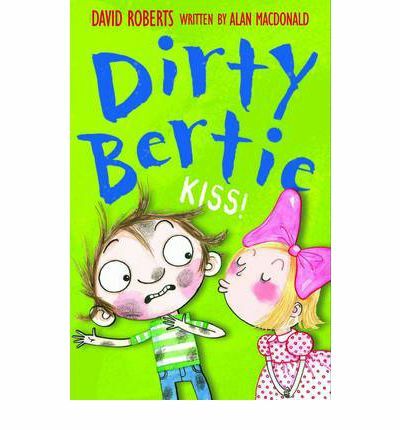 Dirty Bertie is a grubby little boy with some rather disgusting habits. His is also full of some rather silly ideas. In Kiss he thinks it will be funny to put a slug down Angela’s top but the plan backfires when it seems she is determined to kiss him. How gross, how is Bertie ever going to get away from Angela? In Hamster, Bertie volunteers to take the class hamster how for the week of mid-term break. He wants to teach it some tricks. What happens though when it escapes? Boast sees Bertie trapped into playing the trumpet in a concert because his mother boasted of his non-existent ability to another mother. It could be worse, he could actually have to play rather than just pretend. Then disaster strikes. This slim volume contains three funny, silly stories that are perfect for young readers slowly gaining confidence. Each story is broken into chapters and the black and white line drawings perfectly complement the story. They can be read chapter at a time or story at a time.